Tropicana Corp Bhd, formerly known as Dijaya Corp Bhd, has made it to the Top 10 list of The Edge Malaysia Top Property Developers Awards 2017 after a two-year absence. Tropicana Golf & Country Resort (TGCR) and the 409-acre Tropicana Indah Resort Homes. Currently, it has 16 ongoing developments across the country. 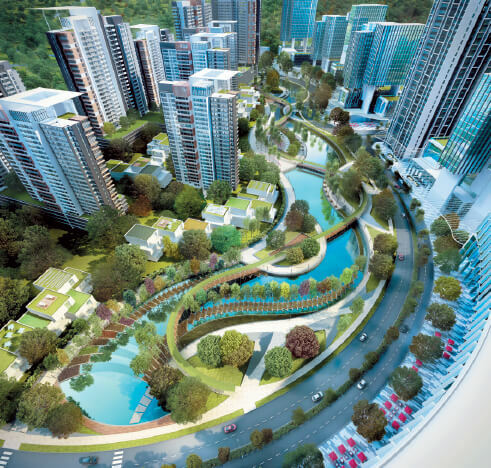 Its noteworthy projects in the central region are Tropicana Gardens, Tropicana Metropark, Tropicana Heights, Tropicana Aman and The Residences, while it has Penang World City and Tropicana 218 Macalister in the northern region. Its projects in the southern region are Tropicana Danga Bay and Tropicana Danga Cove. Today, the group has a land bank of over 1,000 acres, with a total gross development value of more than RM45 billion. 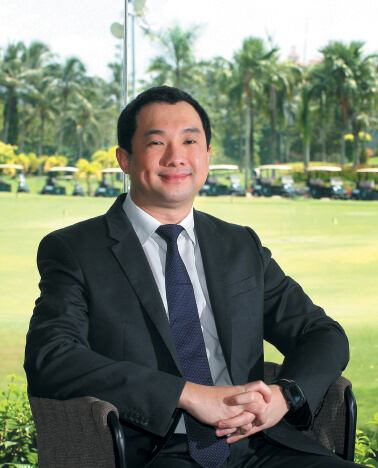 Tropicana Corp made its debut in the hospitality industry by introducing the first W brand and the first Courtyard hotels in Malaysia, according to deputy group CEO Datuk Dickson Tan. “The W Kuala Lumpur Hotel, with 150 rooms, is located next to the Petronas Twin Towers, and is set to be completed next year. The Courtyard by Marriott Hotel in Penang, with 199 rooms, is expected to be completed in 2019,” he says. Dickson shares his thoughts with City & Country via email on the overall performance of Tropicana Corp and its plans for future growth. City & Country: How would you describe Tropicana Corp’s performance in the last 12 months? Datuk Dickson Tan: Despite the economic challenges, Tropicana has remained resilient and demonstrated sustainable growth in the last 12 months. Last year, Tropicana recorded revenue of RM1.46 billion, profit before tax (PBT) of RM168 million and a net profit of RM115 million. For the first half of the financial year ending Dec 31, 2017, Tropicana saw revenue of RM826.3 million, PBT of RM128.5 million and net profit of RM89.3 million. Our unbilled sales stood at RM2.1 billion as at June 30, which is expected to contribute positively to Tropicana’s future earnings. Since a rebranding in 2013, how has it been for the company and what qualities do you think can be improved on? Since the rebranding, we have made progress on our transformation strategy to strengthen our balance sheet. From 2013 to 2016, we recorded a compound annual growth rate of 5% and 7.8% in our shareholders’ funds and total assets respectively. Our net gearing ratio fell from 0.55 times in 2013 to 0.31 times in 2016, as a result of our divestment of land bank and non-core assets. We believe we can improve on our investor relations’ programme to better manage market perception of our developments and improve our share price. How do you differentiate yourself from other developers? Through the years, we have maintained our focus on strengthening our position as one of the top property developers in the country. Apart from our unique Tropicana DNA, we have in place the right ingredients — strategically located land bank and attractive development plans backed by a dedicated and motivated workforce. For example, we have put a lot of emphasis on nurturing the well-being of our communities, ensuring our homes come complete with a lot of open spaces and well-landscaped gardens. 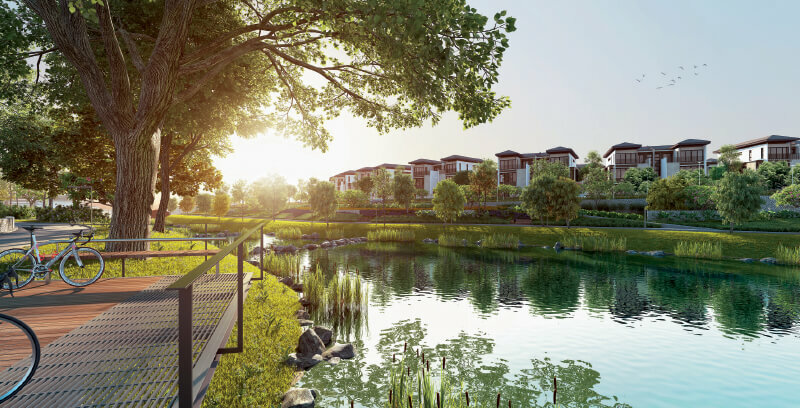 Our developments — Tropicana Metropark at Subang Jaya, Tropicana Aman at Kota Kemuning and Tropicana Heights in Kajang — have been designed with their own central parks, as well as smaller pocket parks, which is actually above the industry practice of only 10% [green space]. Our integrated developments are all strategically located with good amenities and facilities and are well connected and easily accessible. For instance, we are building a RM106 million direct flyover that links the Federal Highway to Tropicana Metropark ... There will also be a direct elevated connection that links the Surian MRT station to Tropicana Gardens Mall. We have built schools in our community townships, such as St Joseph’s Institution International School Malaysia at TGCR and Tropicana Indah Resort Homes, Tenby International School at Tropicana Aman and GEMS International School at Tropicana Metropark. How is the current market situation impacting the group’s business and what is your strategy? The property sector has seen some changes in the last few years. Nevertheless, the market has gained gradual momentum this year. We are very positive on the outlook for the property sector and we believe we are moving in the right direction. For FY2017, Tropicana’s strategy will continue to be market-driven. At the same time, we will concentrate on unlocking the value of over 1,000 acres of land bank, with potential gross development value in excess of RM45 billion, in strategic locations across the Klang Valley, northern and southern regions. In July, we introduced the Tropicana Urban Homes concept, which targets first-time homebuyers, young professionals and new families as we see more young people looking for a holistic lifestyle at an affordable price. This also allows us to cater for a broader market segment and introduce quality living to the middle-income community. We expect to register a steady income stream from our property investment portfolio — which includes international schools, Tropicana Gardens Mall that measures about one million sq ft, an office tower at Tropicana Gardens, the 199-room Courtyard by Marriott in George Town and the 150-room W Kuala Lumpur Hotel in the Kuala Lumpur City Centre. With these properties, Tropicana has the potential to set up a sizeable real estate investment trust. What else is in store in the township of Tropicana Golf & Country Resort? Last year, we launched our first international school — St Joseph’s Institution International School Malaysia — at TGCR, which currently has almost 700 students. It can accommodate up to 1,500 local and international students, which we target to achieve by 2020. In 2019, we will relocate our corporate headquarters from Tropicana City Mall to Tropicana Gardens, a mixed-use development with a transit-oriented concept that comprises four residential towers and a shopping mall, with the elevated Surian MRT station directly connected to the mall. It is being built with a “garden-living-in-the-city” concept and is located just minutes away from TGCR. Which of Tropicana Corp’s product segments is the best performer? Which segment will you be focusing on in the coming years? Phase 2 (Bayan Residences) are fully sold, while Phase 3 (Cheria Residences) is 90% sold. 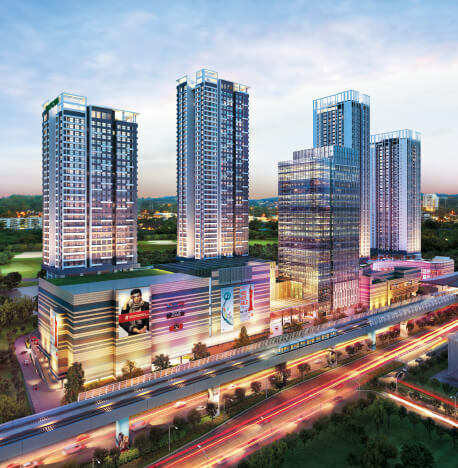 • Tropicana Gardens, a mixed-use development with a GDV of RM1.8 billion and consisting of four residential towers, a shopping mall and office tower. 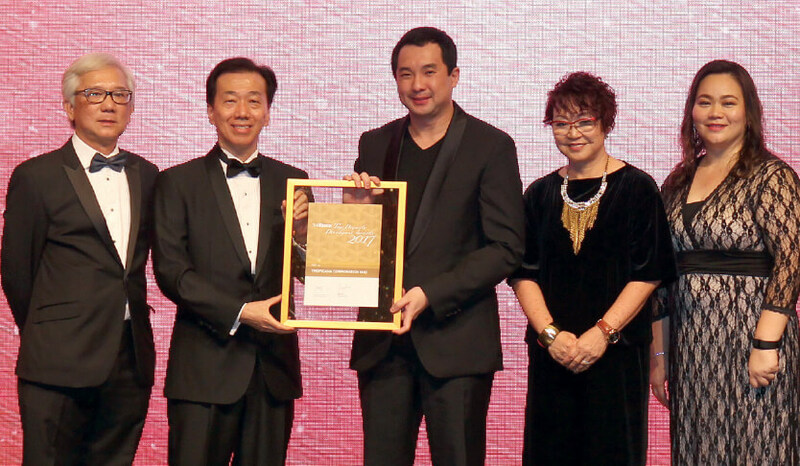 Three of its serviced residence towers have been launched and they are fully sold. 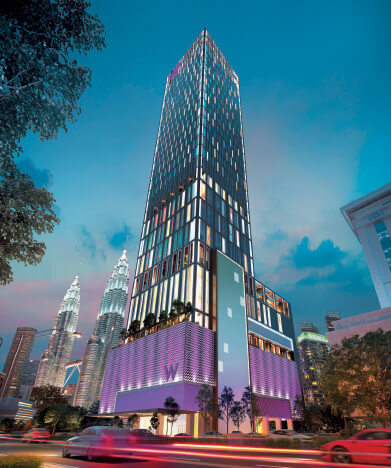 • The Residences, consisting of 353 luxurious, fully furnished serviced residences with a GDV of RM860 million. As at September, 90% were sold with sales of RM774 million. Recognising the demand for quality, affordable homes, we recently launched our new product line, Tropicana Urban Homes. We will focus on this product segment in the coming years, and Aman 1 will be the first collection of Tropicana Urban Homes that will be launched. Tropicana Corp has projects in different states. Do you plan to further expand domestically? How about overseas? Malaysia remains our main focus for business expansion. However, we are always open to expanding overseas, into neighbouring countries in Southeast Asia as well as further afield in developed countries such as Australia and the UK. Overseas expansion is in our medium to long-term plan.